I absolutely love the color green. So of course I was psyched to find out that Emerald was the Pantone color of the year… also more psyched to find a new pair of “emerald slippers” to add to my collection of green shoes (my collection also includes emerald flats that were $2 and my dream green wedding shoes). I was out thrifting with my friend this weekend for a project that I’ll let you in on soon and I stumbled across a bunch of new, tags-still-on Mossimo pumps (sold at Target). 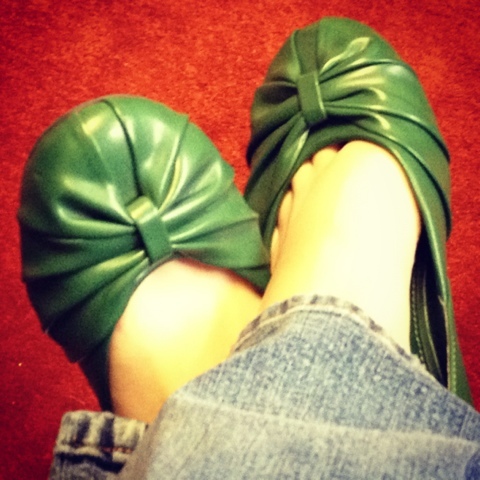 The emerald ones called to me… and were in my size for a whopping $6. It was love. A little research later found that the Mossimo Viveca Blingy Heel in emerald is on clearance at Target for $23.08 and originally sold for $32.99. I’d say that’s a thrift-score if I ever saw one! I paired them with black dress pants and a white top at the office on Monday. I’m linking up with Sharon and Tara to share my awesome find. I’m not a car blogger and I never will be, but this was too good not to talk about, so let me start at the beginning…. 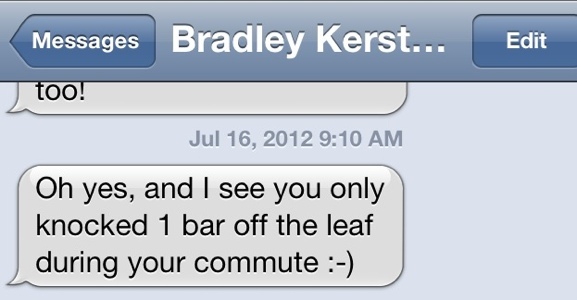 Last weekend, Brad and I had the opportunity to use a Nissan Leaf for the afternoon. 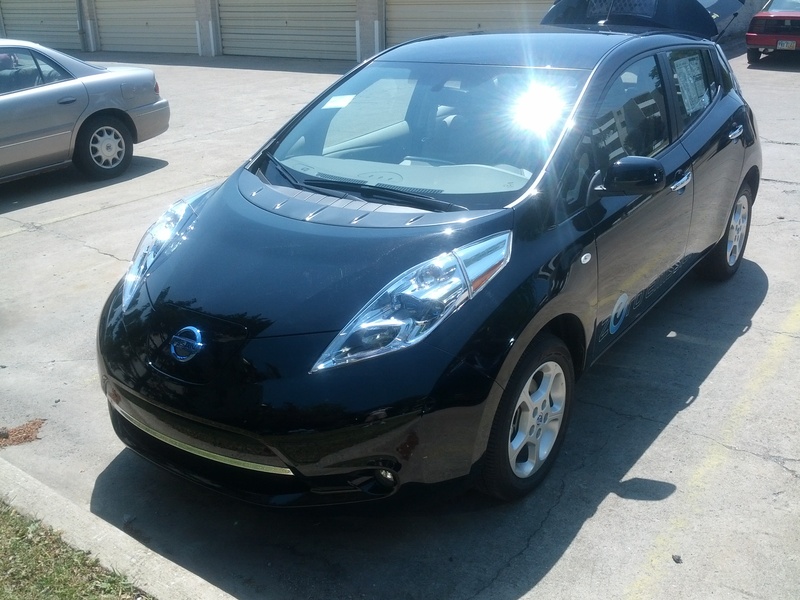 The Leaf is Nissan’s all-electric car. It uses no gas. None. It also completely blows my mind because there are a lot of counter intuitive things about this car that make. complete. sense. At least when you step out of your I’ve only ever driven a gas-powered car before mindset.